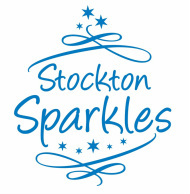 Get ready for the very best in Christmas shopping and festive fun when Stockton Sparkles returns for 2013. Launching with an evening of festive music and lights, Santa and his friends are joined by a children’s Christmas choir and a brass band. Highlights include a 12 day Christmas market in Stockton’s Parish Gardens (always good for present buying) and the popular Reindeer Parade. The launch of Stockton Sparkles with festive music and lights, Santa and his friends, a children’s choir featuring over 1,000 children and a brass band, for this magical evening hosted by BBC Tees. The gorillas are great at causing a stir, capturing the attention and imagination of children. Accompanied by their explorer friend watch out for them coming your way. This amazing mobile kitchen will give you top tips for the perfect Christmas diner as well as crazy ideas like sprout smoothie and how to get the kids to do the washing up! Similar to last year there will be more than 30 cabins selling a wide range of gifts – such as candles, soaps, clothing and jewellery – decorations for the home plus lots of stalls offering festive fayre and the best in locally made produce. You can take a break and enjoy a bite to eat from the food cabin which includes traditional sausages, mulled wine and speciality coffees as well as sampling traditional sweets and Christmas chocolates. Mayor’s Carol Service – The Mayor of Stockton, Councillor Kathryn Nelson, will be spreading Christmas cheer as she hosts the Mayor’s Carol Service at Stockton Parish Church. Watch as Bruce inflates a six foot balloon then slowly disappears into it. After a frantic dance inside the balloon there is a confetti explosion as he bursts out dressed as Santa! Stilt walking toy soldiers with their bristling moustaches and nutcracker style uniforms will be marching around the town centre trying not to get up to mischief. This seven piece band will entertain you with a variety of international music styles through an array of powerful horns and accordions. Reindeer Parade – Come and see Santa and his entourage of reindeers as he makes his way along the High Street on his sleigh. There’s also live dance, music performances and late night shopping throughout the town centre.